Discussion in 'Battlefront Vehicles' started by Jakobi, Dec 20, 2014. All I really want is to operate one and lay down some massive firepower, is that too much to ask for? It is on the trailer or the teaser, so I think you are safe. 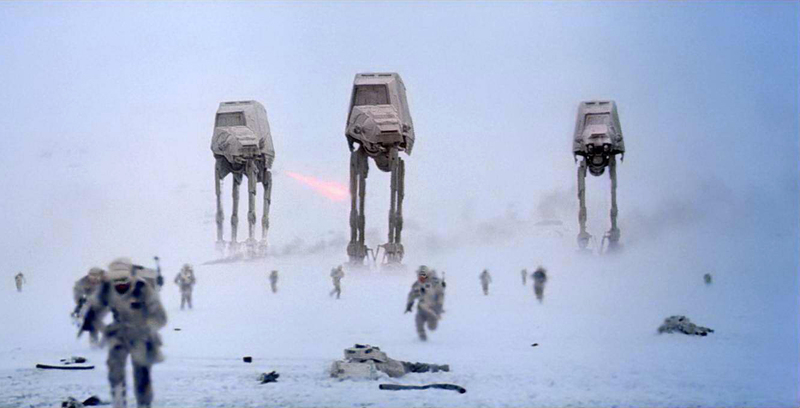 It's exciting to see Dice's version of the AT-AT even if it's on rails. I totally agree. I have faith in Dice and EA, and I think this game should be phenomenal. I am sure they will work it out, but yeah I have a blast using the AC-130 in BF4, this will be the same.